More Dietary Choices — To protect metal wires and braces, some diet modifications are necessary. With Invisalign, you can still bite into an apple or a crispy pizza crust. Teeth-Grinding Protection — If you have a teeth-grinding or clenching habit, Invisalign can function as thin nightguards that will protect your teeth from excessive wear. Specialized computer software is used to design a plan for moving your teeth from their current positions into the best possible alignment. This movement will be broken down into perhaps several dozen stages. For each stage, the Invisalign company will manufacture two plastic mouth “trays” or “aligners,” one to fit over your top teeth and one for the bottom. You will wear this first set of trays for two weeks, for a minimum of 20 hours per day. You will then move on to the next set of aligners in your series to accomplish the next stage of gradual movement. You will keep doing this until your teeth are correctly aligned. Also, please keep in mind that while wearing Invisalign is very different from wearing braces, the importance of retaining your post-treatment results is exactly the same. You'll want to be sure to wear your retainer(s) exactly as prescribed after your treatment is completed to protect your investment in a beautiful new smile. 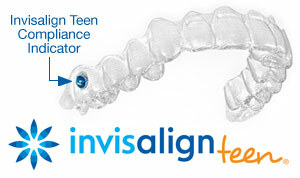 Straighten your teeth with Invisalign. Call All Smiles in Worth, IL to schedule your appointment at (708) 448-0333 or fill out the form below!